SafeTGA Making Tower Grove Avenue safer for cyclists. 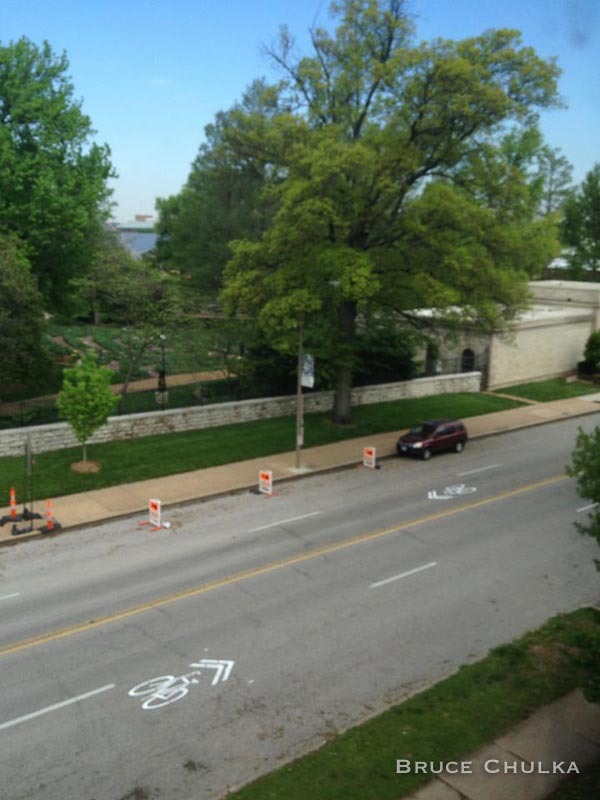 To facilitate the discussion about bicycle safety along Tower Grove Avenue, we’ve put together some facts and figures about the road as it currently exists. Tower Grove Avenue begins at Tower Grove Park and runs north for 1.7 miles to the Central West end. It can be divided into four distinct sections, each of which is described below. This section is 0.55 mi long and runs along the Missouri Botanical Gardens. Roadway is 50′ wide with parallel parking on east side. West side (next to Gardens) also has parallel parking, although on occasion (weekends and special events) pull-in diagonal parking is used. 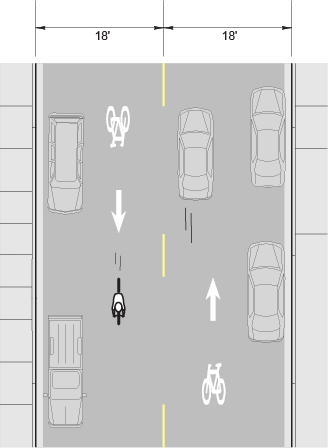 Sharrows are painted in the right-most lane. This stretch is unusual in that there are no cross-streets or intersections (other than very low traffic alleys), making it very well suited for cycling. Currently (through Fall 2013) the right southbound lane is blocked with concrete construction barriers along a significant stretch of this segment. 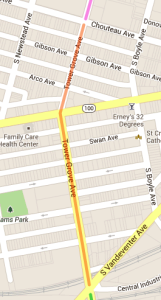 Map of Tower Grove Avenue from Magnolia to Shaw. Lanes along Tower Grove Avenue between Magnolia and Shaw. Tower Grove Ave near the Botanical Gardens. Photo by Bruce Chulka. 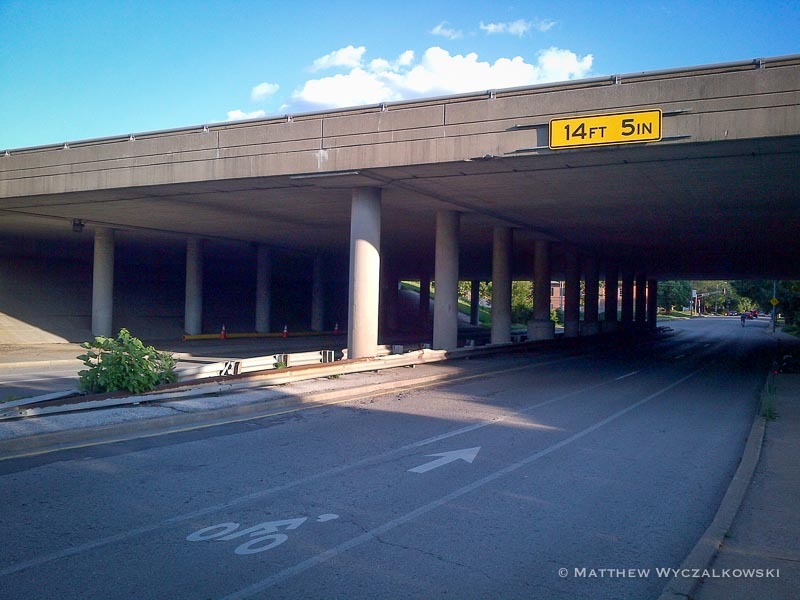 The next section heading north is 0.35 mi long, passing under I-44 to the Vandeventer. 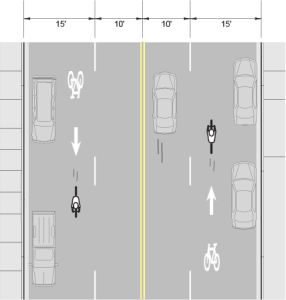 Here the roadway 50′ wide, with 5′ bicycle lanes as illustrated below. 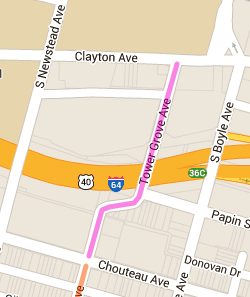 Map of Tower Grove Avenue from Shaw to Vandeventer. Lanes along Tower Grove Avenue between Shaw and Vandeventer. Tower Grove Avenue near the I-44 underpass, showing bicycle lanes. The next section, 0.50 mi long, passes through the Grove neighborhood and Manchester Avenue. Here the roadway narrows to 36′, and has sharrows painted intermittently. 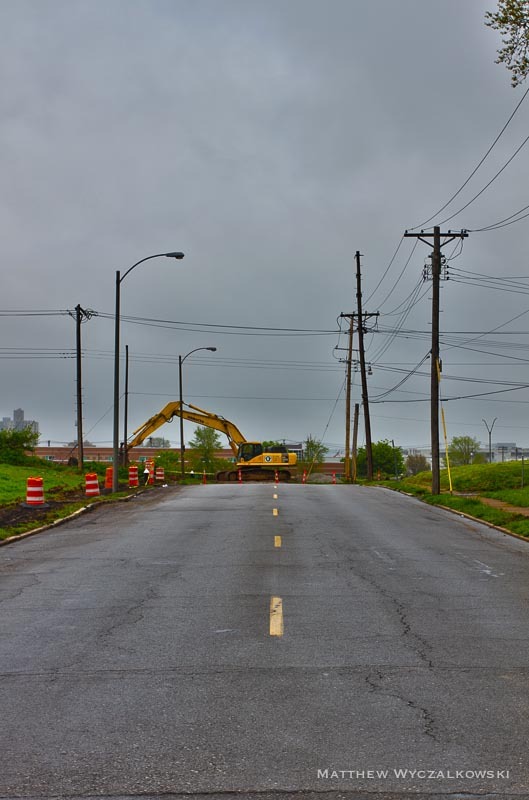 Lanes on Tower Grove Avenue, Vandeventer to Chouteau. Tower Grove Avenue (running left/right) at Manchester in the Grove. 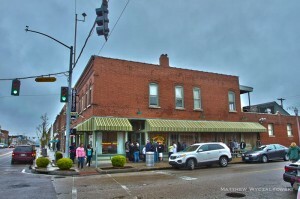 Pictured is Sweetie Pie’s restaurant, the location of a television show on the Oprah network. 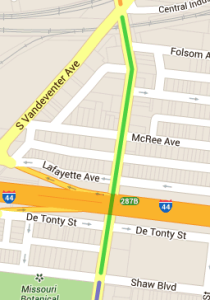 The final section is 0.25mi long, with the same width (36′) and lane layout as Vandeventer to Chouteau. The bridge over I-64 will be torn down starting in November 2013, with a highway interchanges and a round-about built together with the new bridge. In addition, the CORTEX Bioscience District, immediately north of the Tower Grove Ave terminus, is undergoing significant re-development. Lanes on Tower Grove Avenue, Chouteau to Clayton. 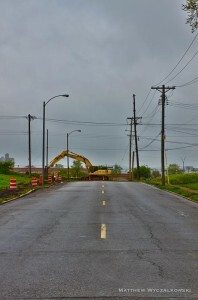 Tower Grove Avenue immediately north of Chouteau, with I-64 construction equipment visible. 4 Pings/Trackbacks for "Tower Grove Ave 101"